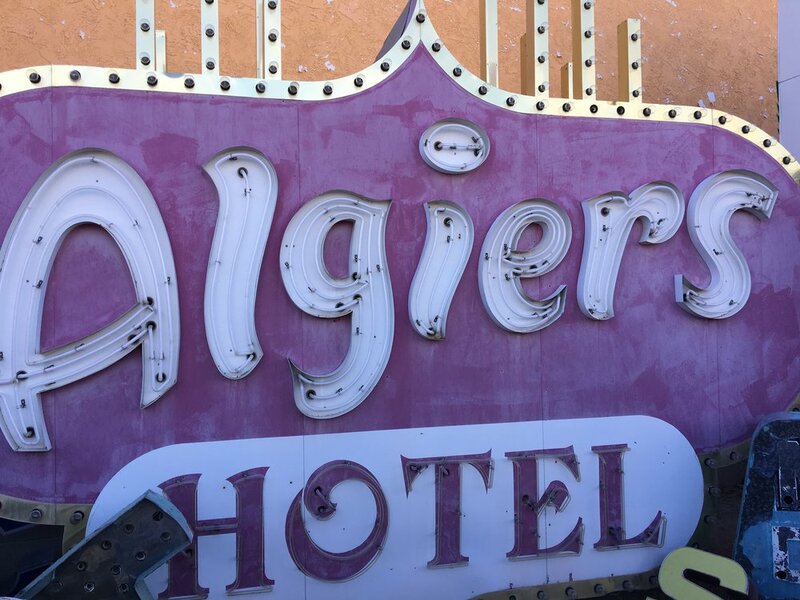 Neon Museum - Las Vegas — Cinder Design Co.
During a recent trip to Las Vegas for the 2016 AIGA Design Conference, we had one special stop that we HAD to make. Visiting the Neon Museum was at the top of our list. 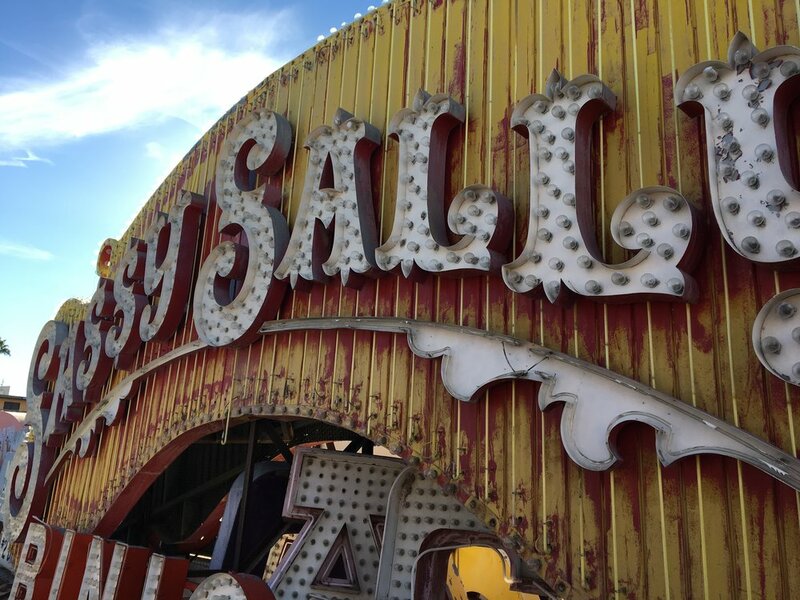 Located just off the Las Vegas Strip and past the popular Freemont Street experience, the Neon Museum is the final resting place to some of the city's most iconic neon signage. 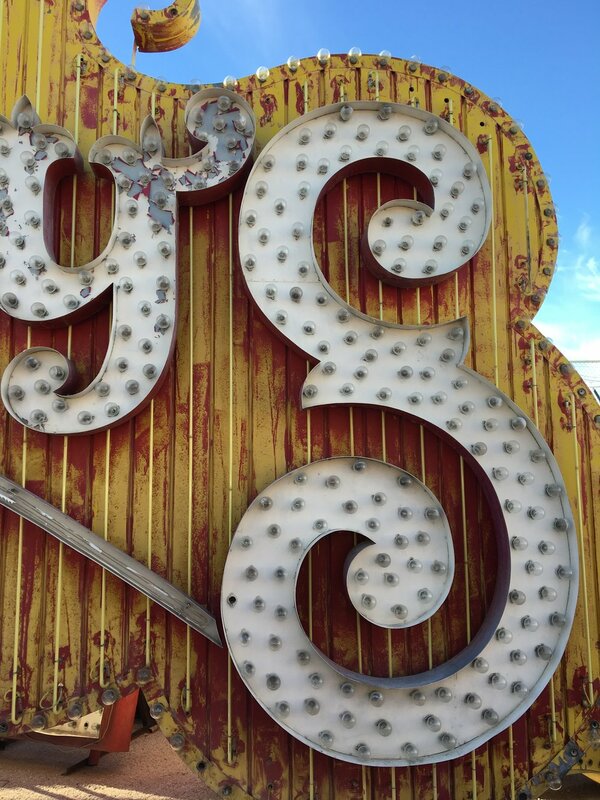 The Neon museum isn't your average museum. They have an outdoor exhibition called the Neon Boneyard. 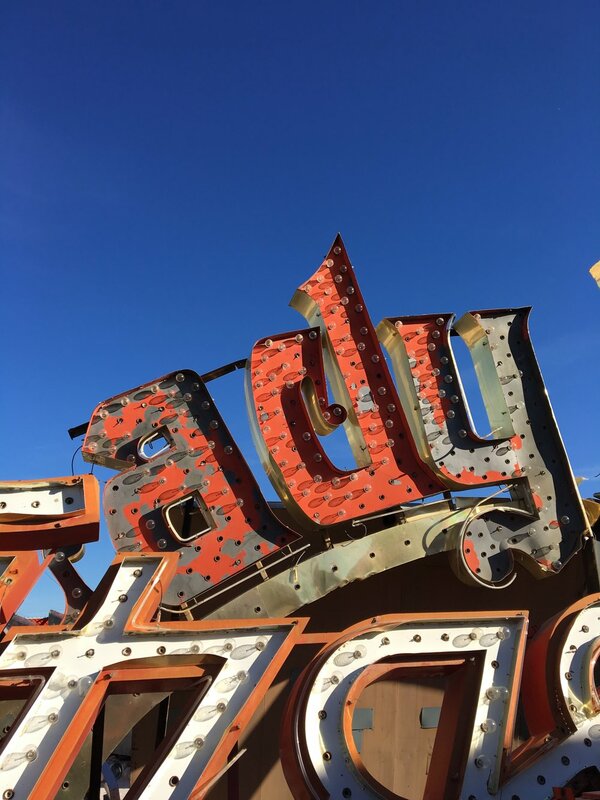 All of the neon signs are piled outdoors and you have a tour guide walk you through each group of signs as they explain the historical significance behind them. Our tour was during the day, but they also offer night tours! Each sign is beautifully lit to show them off. Some have even been completely restored and brought back to their past glory. If you're not a fan of the hot Vegas sun the night tour may be a better option for you. It was definitely a memorable experience, whether you're a design history/nerd or not! Below are some of our photos from the tour. The Moulin Rouge sign was designed by the only woman sign designer at the time - Betty Willis. She is also known for her famous "Welcome to Las Vegas Sign" on the South end of the strip.